Plot: We meet the young 20-something Sherlock Holmes Early in his crime-solving career. 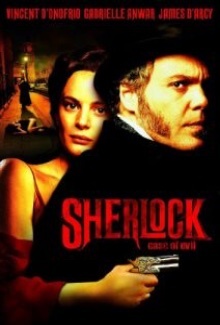 As the movie opens, Sherlock is in pursuit of the evil Moriarty and apparently shoots him to death, but his body cannot be found as he falls in a sewer. Ah, but anyone who knows the Holmes mythos knows that Moriarty is not so easily killed.